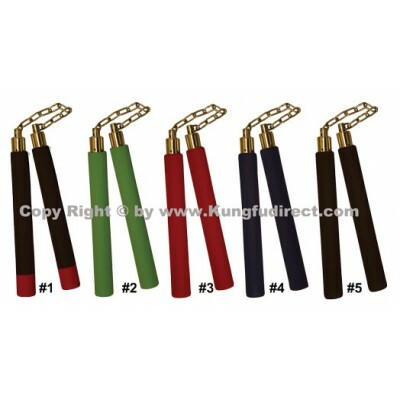 Plait Black Real Leather Shao Lin WhipWOOD HANDLE WITH RED TASSELBEAUTIFUL PINEAPPLE KNOT/TRUK HEADS.. 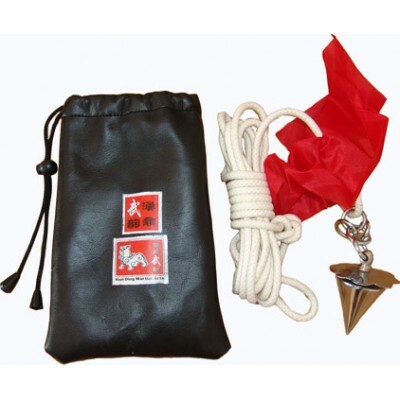 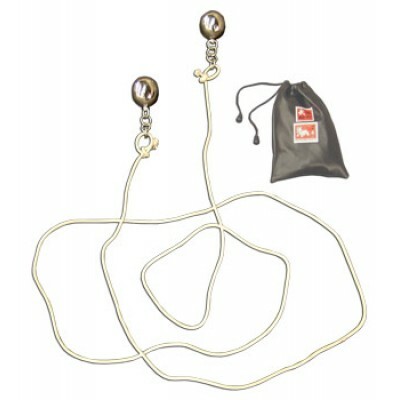 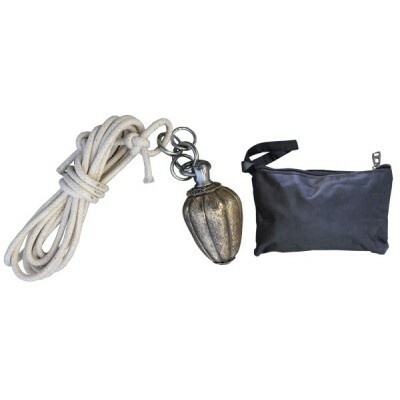 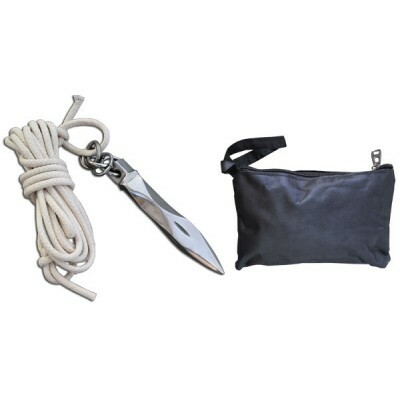 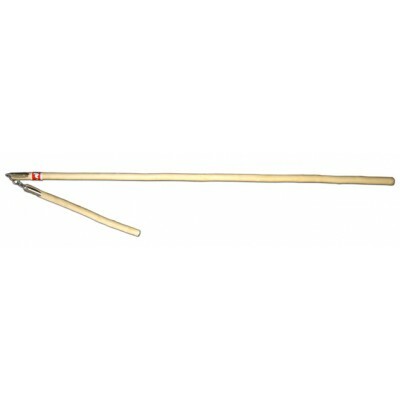 The rope dart is a long rope with a Stainless metal dart tied to one end. 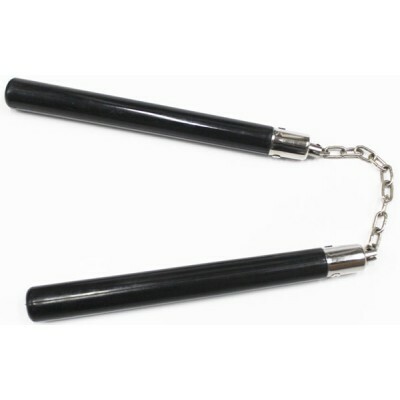 This was an ideal weapon i.. 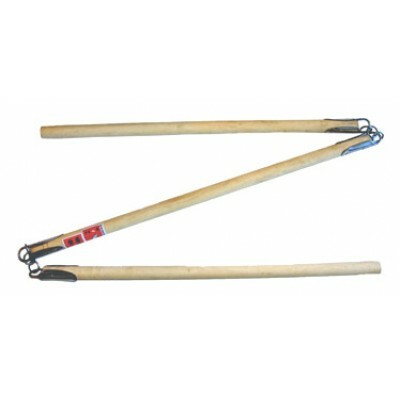 This weapon of the Shaolin Monk was designed to be used from a distance. 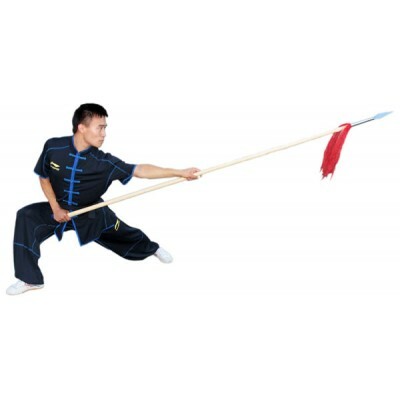 Distance is preferable as a..
Horsetail Whisk (Fo Chen) is one of the weapons of Taoist monks.The technique of Fo chen is un..
Just like the whip chain, high hand-eye coordination is a must for the practitioner to do this weapo.. 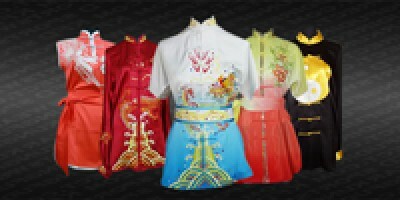 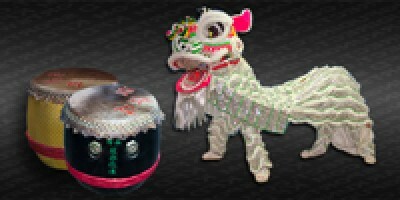 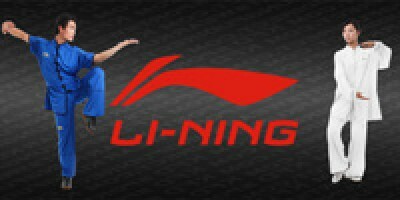 Although it is rarely seen in action, the short sweeper is one of the greatest treasures of China.&n.. 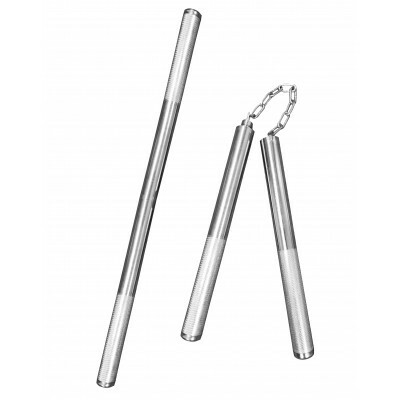 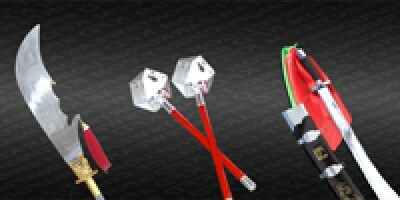 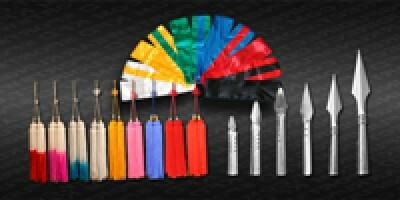 These Foam Nunchaku (Nunchucks) 12 inches in length and a 3/4" diameter PVC core tube covered with a.. 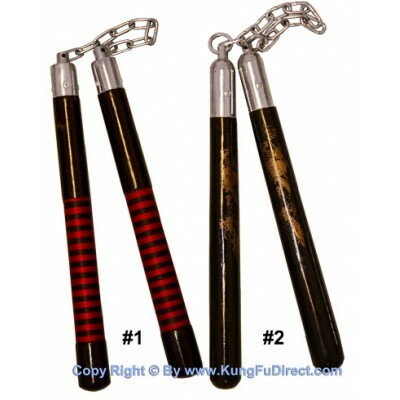 Wooden handle nunchaku (nunchucks), in two different styles.Nunchaku #1: Black wooden nunchaku ..
Metal nunchaku retracts to 6 inches. 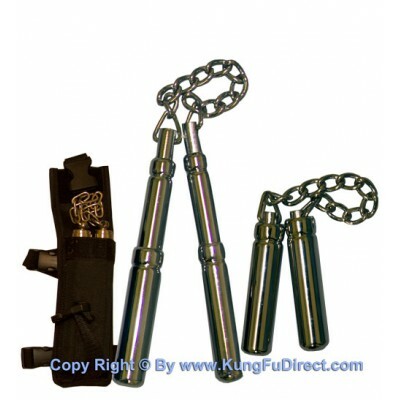 extends to 11 inches long8 inch chainTotal length: 23.5 inchesT..
Metal nunchaku retracts to 6 inches. 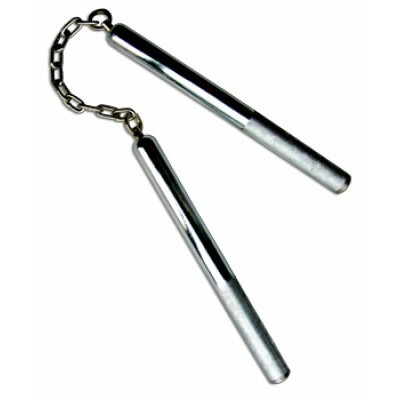 extends to 11 inches long7 inch chainTotal length: 29.5 inchesT..
High Quality Stainless Steel Nunchaku 11 inches length · &nb..
SF015 - Traditional Copper Meteor Hammer 流星铜锤.. 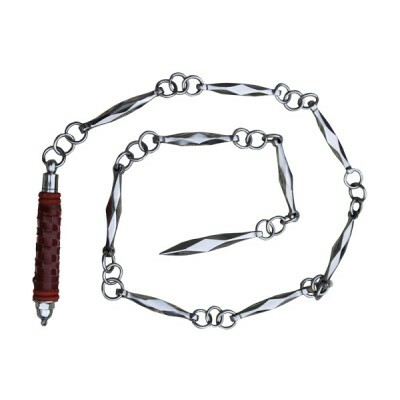 Sections are made of solid rubber, joined by an iron chain. 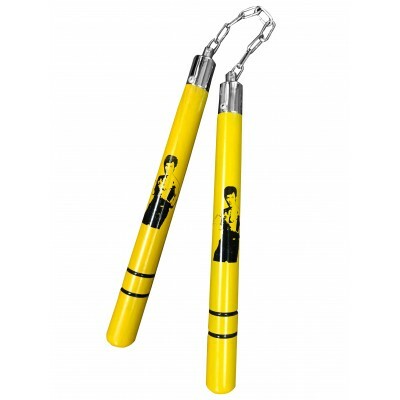 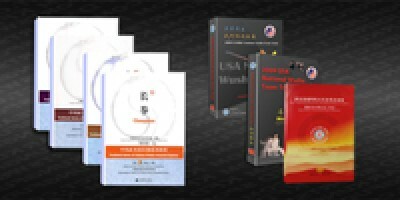 The rubber can be bended more than 90 de..
SF017 - Wooden Bruce Lee NunchakuATTENTION: This item cannot be shipped to states of .. 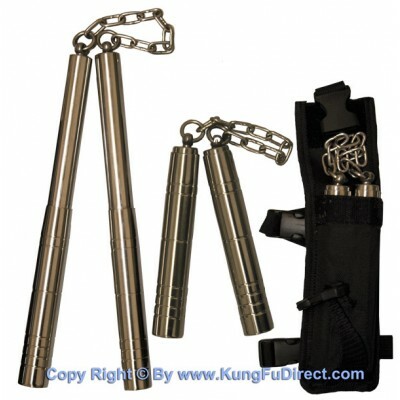 This Aluminum Nunchaku Escrima is actually two weapons in one. 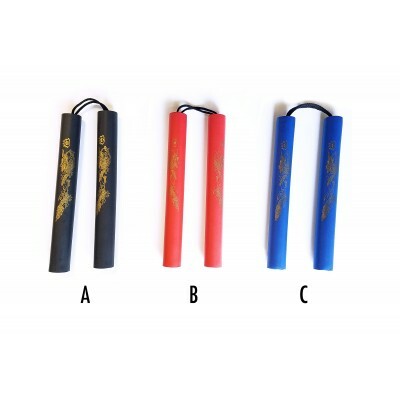 It is a 12″ nunchaku that features a ..